Halloween isn’t complete without a trip to Halloween Town. Which is not to be confused with Halloweentown. Those are two completely different places. Halloween Town is one of the seven Holiday Worlds but we think it’s the best. It’s home to Jack Skellington and Sally. 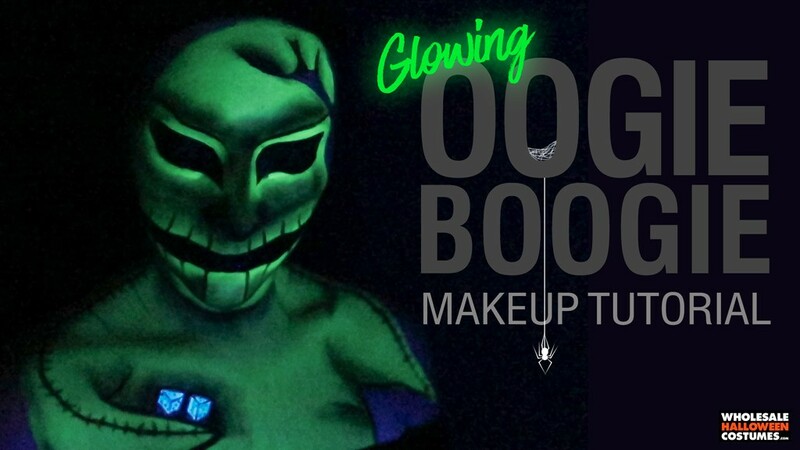 Oogie Boogie is there too but other than that, it’s basically paradise for Halloween lovers. 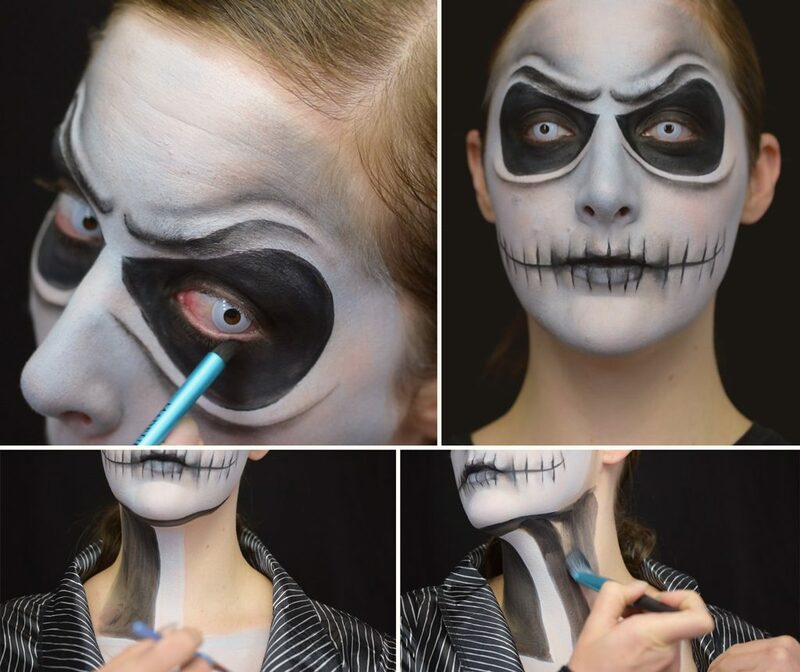 Join the Pumpkin King and his friends and foes to sing your way through Halloween. This year marks the 25th anniversary of the Tim Burton Classic The Nightmare Before Christmas. And since “This is Halloween! 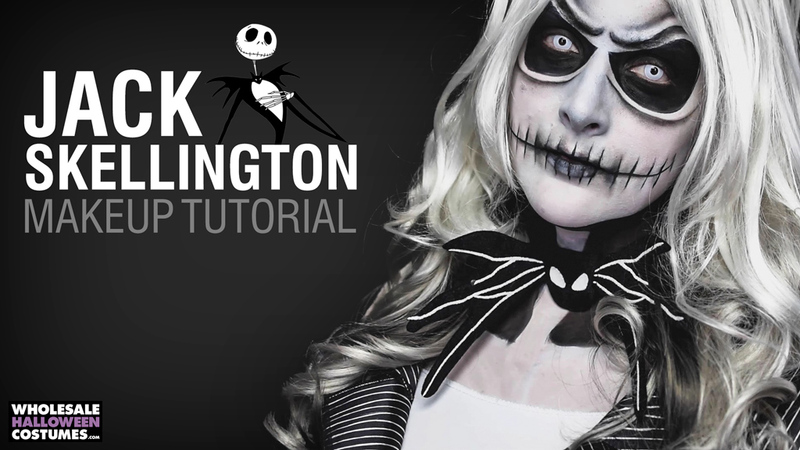 !” we’d like to honor the occasion with a Jack Skellington makeup tutorial to accompany his signature pinstripe outfit. 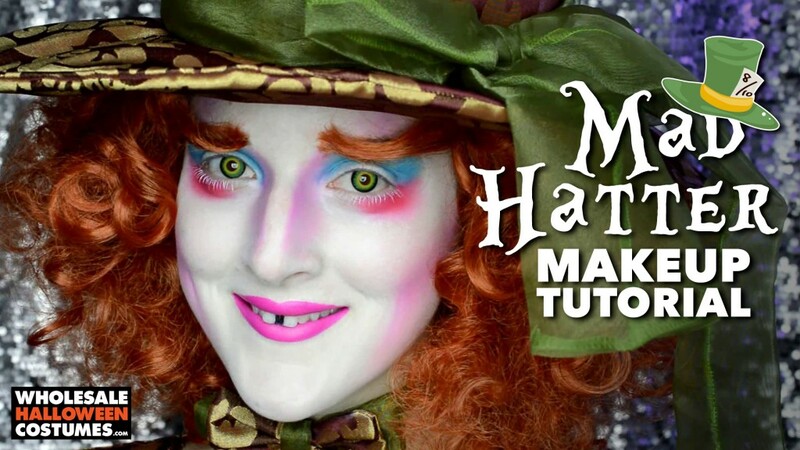 Caitlyn Kreklewich put her own spin this iconic character for this makeup tutorial. If you’re digging this video go subscribe to her channel! Keep reading to follow along with our step by step guide below. 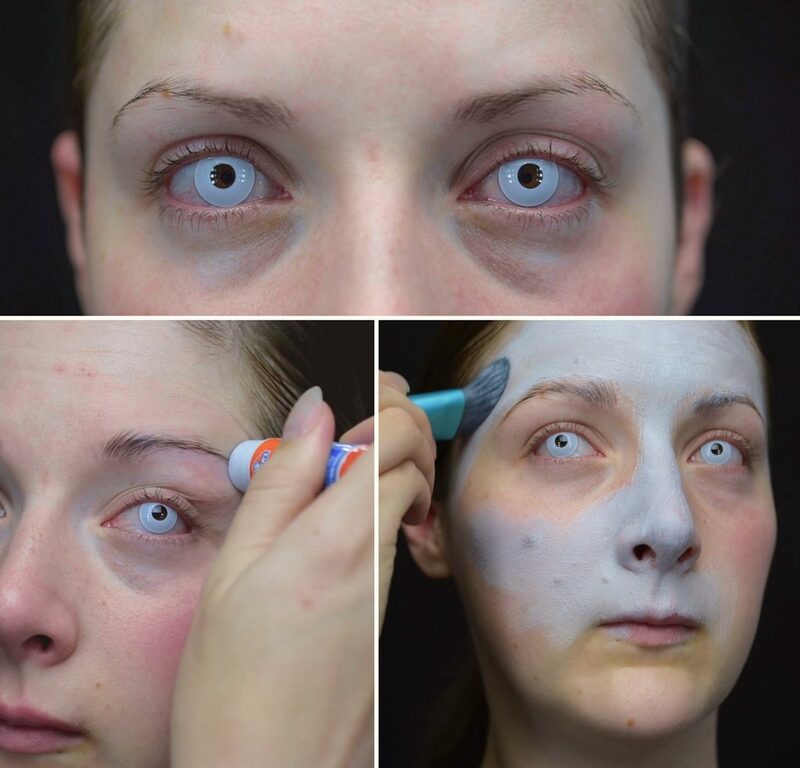 Pop in white contacts if you have them. Totally optional. Use a skin safe glue stick to block out your eyebrows and allow the glue to dry. Disappearing Purple Elmer’s Glue Sticks works very well for this and it washes off easily. 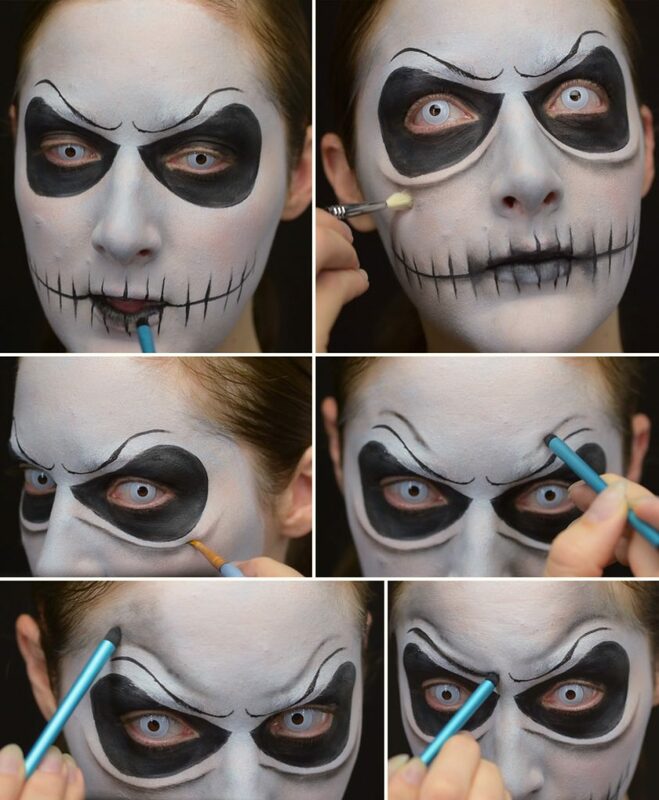 Use white face paint to cover your face but leave your eye sockets bare because they will get filled in later. Make sure you have full coverage especially around the eyes. 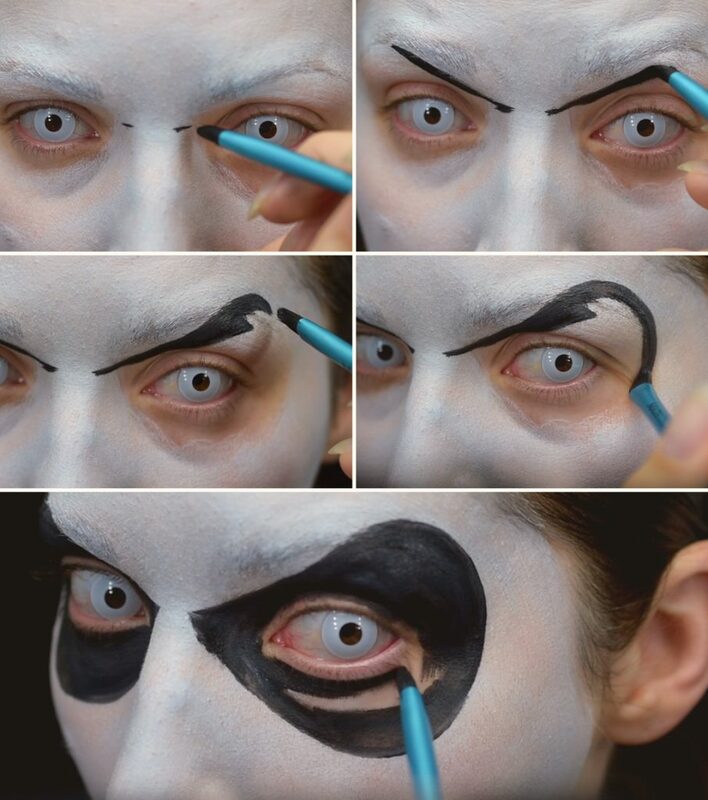 Add two dashes for the inner points of the eyes so your look is symmetrical. Just under your brow draw a line diagonally toward your natural arch with black makeup. 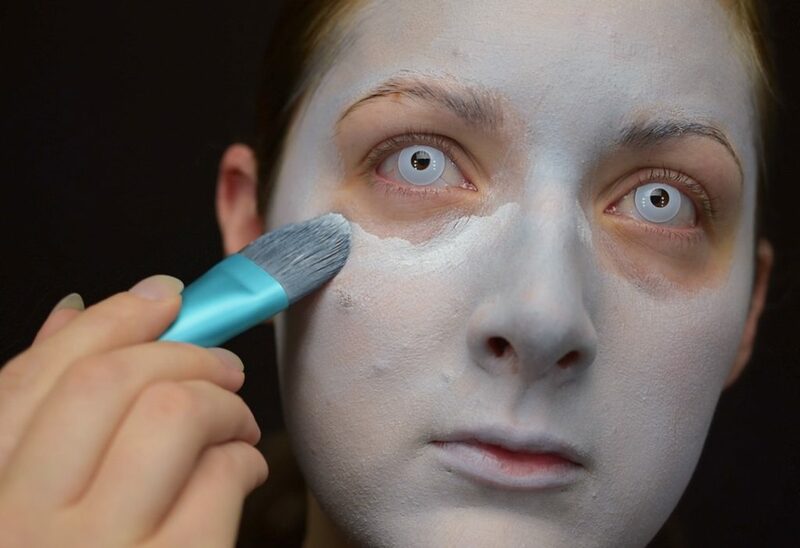 Curve up and around the brow bone then down and around the eye using the natural eye socket as a guide. Trace the line back up to the inner point, then fill in the eye completely. Draw the arched brows with a thin black line. Pull a thin black line outward from each corner of your mouth. Using small flicks of the brush add Jack’s signature mouth lines. 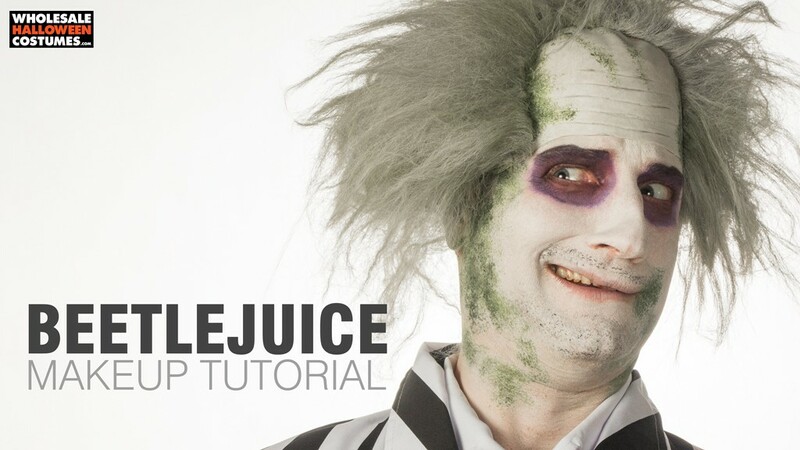 Fill in the lips with black and blend out the edges into the lines around the mouth. Using a fluffy shadow brush add a shadow of bags under his eyes. To add a little more structure and depth to the brow, add one more furrow to the brow above the initial line you drew. Use a softer hand to keep it blended and grey. Go over the first brow line one more time with a stronger line and blend the lower edge to look like a shadow making the highlight pop. Using black eyeliner fill in your lash lines. Let’s move onto the neck and chest to finish this look with the costume on. 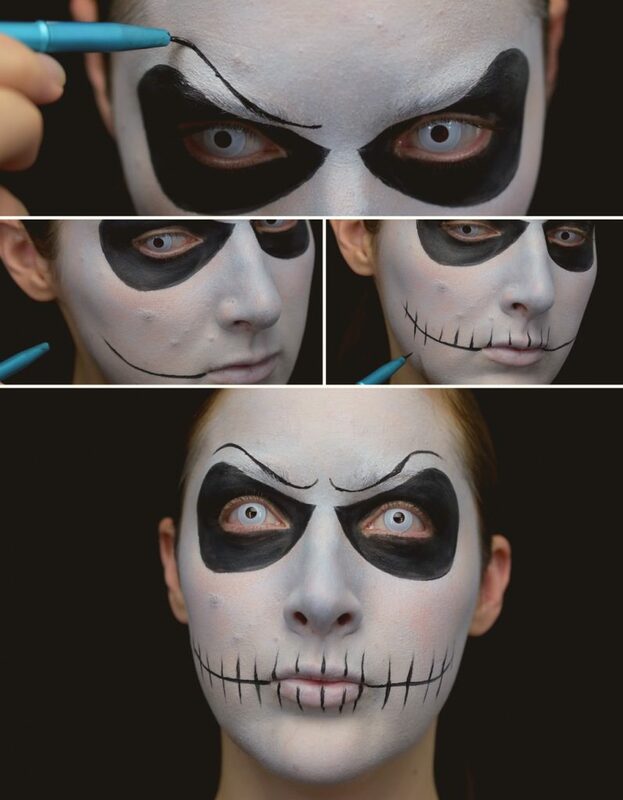 Lay down his long skinny neck and then fill in your chest until the costume covers the edge. Fill in both side of the neck with black. 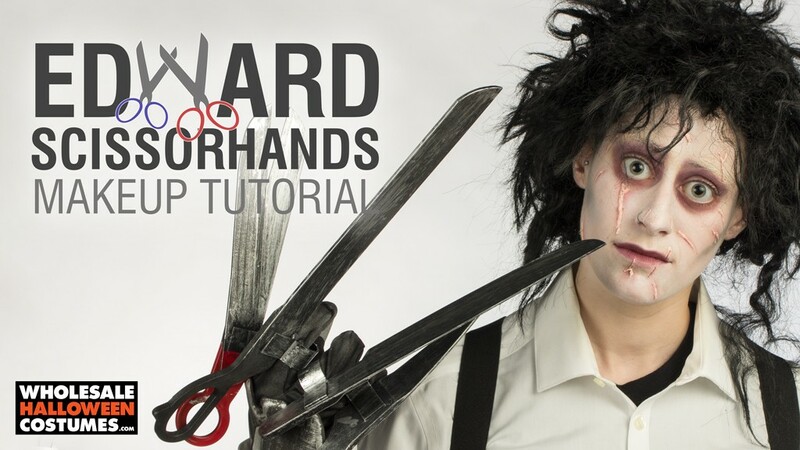 The last step is to pop on a wig cap and a long silver wig. 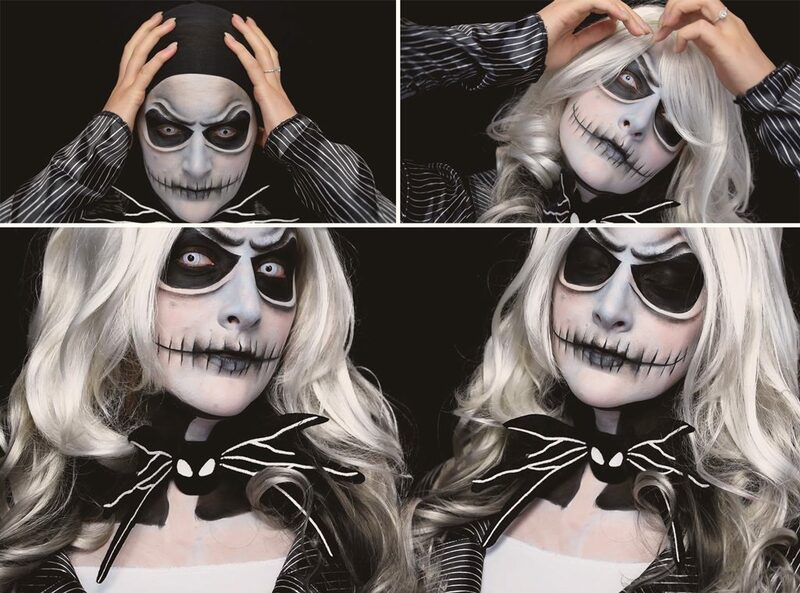 Now you’re ready to go out be the best Pumpkin King you know how to be! If you’ll be heading out as a group to celebrate the season, browse the whole collection of Nightmare Before Christmas Costumes. 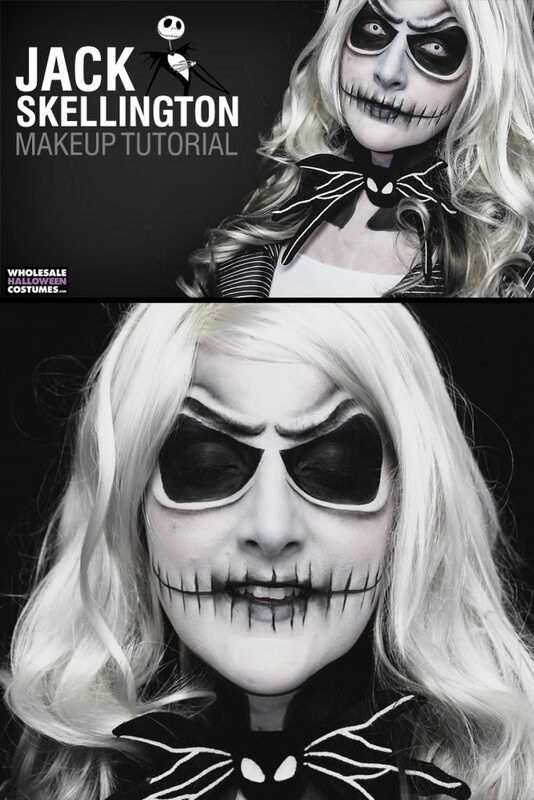 Save this look on Pinterest!